If you try to install FarmTek Polaris Timing System connected via USB on Windows 10, you will likely run into an issues where AXtime doesn't register timer trips from the Polaris Timing Console. THIS IS A DRIVER ISSUE - look in Device Manager under Ports (COM & LPT) for a yellow exclamation point on your Prolific USB-to-Serial Comm Port. 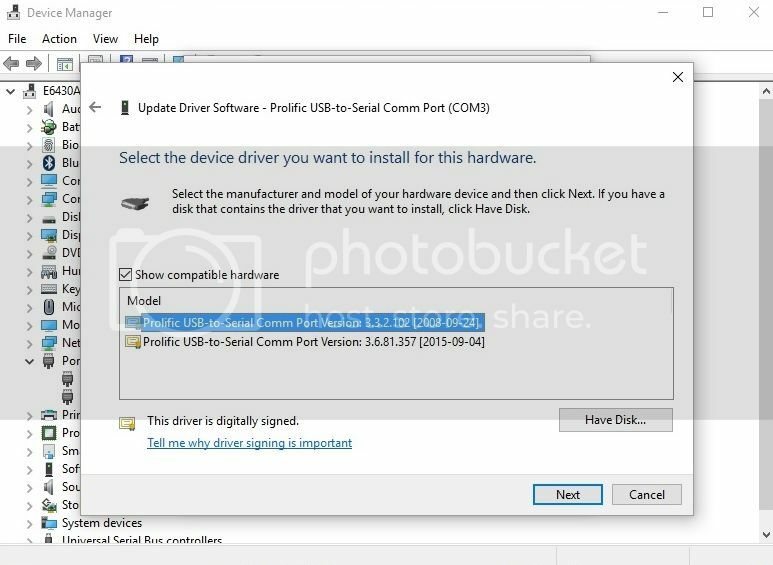 Windows tries to install the default Windows Prolific USB-to-Serial Comm Port driver which is newer but not compatible with the USB to Serial adapter FarmTek provides. It should work now using the proper driver and AXtime will register timer trips. @MarcGSR - These are gold. Thanks. I ran into this issue at my second ever AXti.me event. Luckily I had my Farmtek install disk in the briefcase. I wish Farmtek would update their firmware to work with newer adapters. Thanks again for this. I tried going through this last night (briefly, it was late) but I was unable to successfully install the old driver from the CD that came with the Farmtek. I will try again via the download and see if that works. @Duke make sure after you delete the default 2015 prolific windows driver, that you disable automatic driver installation from Windows Update in Device Installation Settings as per the farmtek guide linked in my walk-through above. Also, be sure you are plugging the timing console into the same USB port every time or it will switch the COM port on you. to serial adapter for about four months now for the reasons detailed below. longer refuse software updates with Windows 10.
driver that Windows 10 installs. The cable is US$15 plus shipping. a USB to Serial Adapter that is Windows 10 compatible.